Time can fly as you sit for extended periods of time. You become engrossed in email, writing papers, reading articles, responding to requests, and all of the sudden you’ve been sitting for 3 hours straight! Get up every hour: set yourself a google calendar alarm, or any other sort of alarm that works for you. A constant reminder to get up might just do the trick! Activity bursts: like our advisor Dr. David Katz encourage us to do – get up and do some jumping jacks, we just did and boy does it make a difference! Take a fresh air break! 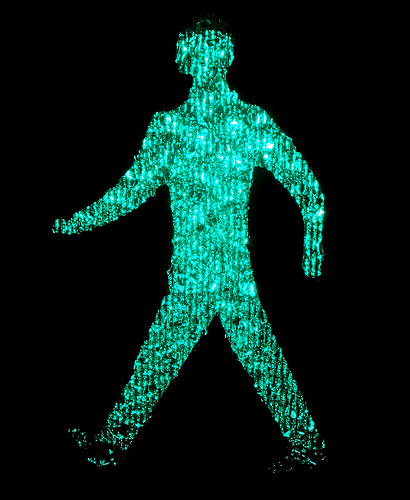 Go outside, and take a 10 minute walk. You’ll come back to your desk feeling refreshed and clear headed. Learn more about stand up desks, and make your own set up work for you! What keeps you jazzed and moving while working? The food revolution of our time has been well underway, and with the proliferation of food information many insightful books have bloomed. We are here to share with you some of our staff favorites, hoping that our list may inspire a food revolution in you, or in your community. Animal, Vegetable, Miracle Barbara Kingsolver. Eat to Live Dr. Joel Fuhrman, M.D. Eat Your Genes: How Genetically Modified Food Is Changing Our Diet Stephen Nottingham. Fat Chance: Beating the Odds Against Sugar, Processed Food, Obesity, and Disease Robert H. Lustig, M.D. Food Politics: How the Food Industry Influences Nutrition and Health Marion Nestle. Free For All: Fixing School Food in America Janet Poppendieck. Good Calories, Bad Calories: Fats, Carbs and the Controversial Science of Diet and Health Gary Taubes. Home Made Yvette Van Boven. 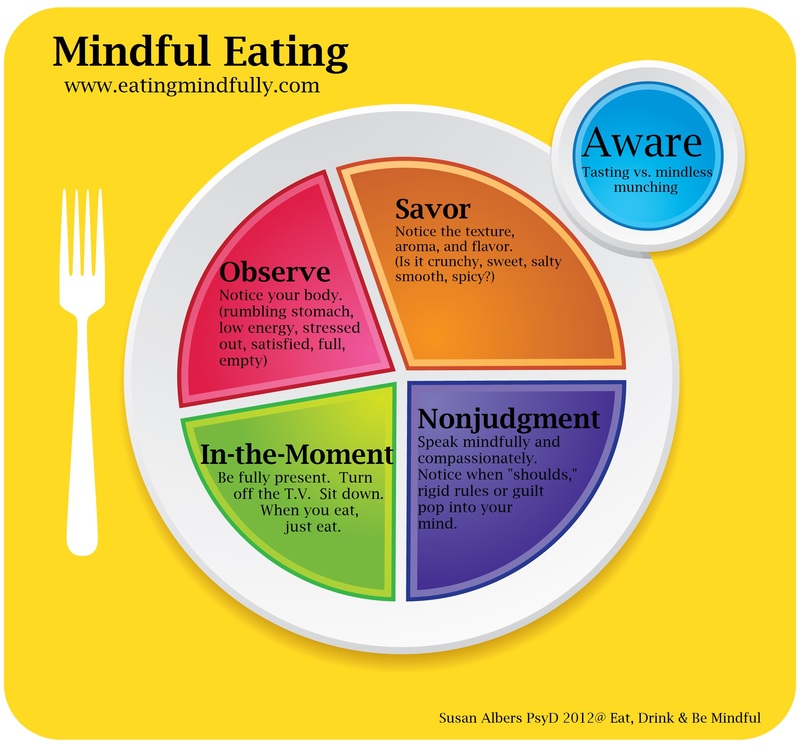 Mindless Eating: Why Eat More Than We Think Dr. Brian Wansink, Ph.D.
Pandora’s Lunchbox: How Processed Food Took Over the American Meal Melanie Warner. Raw Energy: 124 Raw Food Recipes for Energy Bars, Smoothies, and Other Snacks to Supercharge Your Body Stephanie L. Tourles. Setting The Table Danny Meyer. Slow Food: The Case for Taste Carlo Petrini. The Family Meal: Home Cooking with Ferran Adrià Ferran Adria. The Good Life: Helen and Scott Nearing’s Sixty Years of Self-Sufficient Living Scott and Helen Nearing. The One Straw Revolution Masanobu Fukuoka. The 150 Healthiest Foods on Earth: The Surprising, Unbiased Truth About What You Should Eat and Why Jonny Bowden Ph.D, C.N.S. 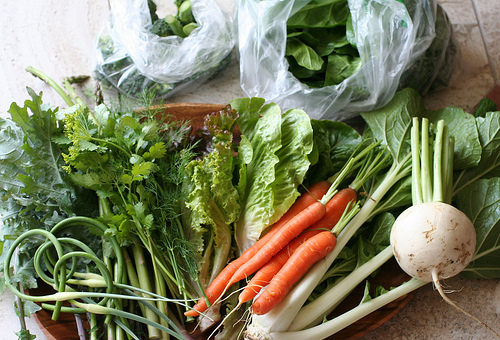 This Organic Life: Confessions of a Suburban Homesteader Joan Dye Gussow. What to Eat: An Aisle-by-Aisle Guide to Savvy Food Choices and Good Eating Marion Nestle. Wheat Belly: Lose the Wheat, Lose the Weight, and Find Your Path Back to Health William Davis, M.D. You Can Farm Joel Salatin. What food related books have inspired you? 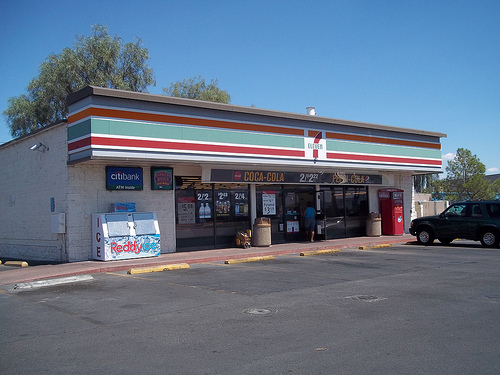 Good news is on the horizon for 7-Eleven shoppers. Why are fresh food choices popping up all of a sudden? Joseph M. DePinto, the chief executive of 7-Eleven says, “We’re aspiring to be more of a food and beverage company, and that aligns with what the consumer now wants, which is more tasty, healthy, fresh food choices.” Another reason why fresh foods are desirable to 7-Eleven is due to the drop in cigarettes sales. To make up for those losses they are hoping that fresh food options will help sustain their profits. An example of a fresh food product they are rolling out is their “bistro snack protein pack”, similar to the ones you find at Starbucks that include “cheddar cheese cubes, grapes, celery, baby carrots and hummus.” A much better choice when compared to their slurpees, packed with high fructose corn syrup, natural flavors, sodium benzoate, and lots of artificial food dyes. As the food movement continues to gain momentum, we as consumers should uphold our voices and beliefs. As we vote with our dollars and forks, we will undoubtedly continue to see change unfold before our very eyes. A restaurant serving items like a Farmer’s Market Frittata, Kabocha Squash Risotto, and a Kale-Banana Smoothie typically wouldn’t lead one to assume that it had any type of connection with one of the largest fast food companies in the world. Yet LYFE Kitchen just may be the exception to that rule. The brainchild of former McDonald’s president and chief operating officer, Mike Roberts, LYFE Kitchen represents the newest addition to the ever-expanding fast food world. Offering both restaurant-style food options as well as some grocery store items, the company strives to “promote sustainability,” working with suppliers that provide healthier and ethically-sourced products. 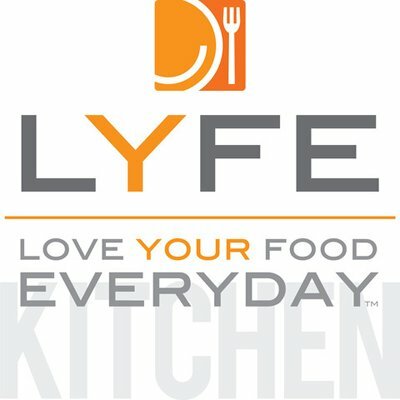 “LYFE” is an acronym for love your food everyday, a message that the company encourages their customers to practice on a daily basis. LYFE Kitchen does so by implementing environmentally sound architectural designs for their Ca, sourcing ingredients responsibly, utilizing green packaging for grocery store items, as well as donating a portion of their proceeds to charities that focus on bettering the health, nutrition, and overall wellness of communities through the U.S. The product of two seemingly disparate trends in today’s food world–fast food speed and nutritious sustainability–LYFE Kitchen is all about enjoying food while doing good for both your body and the world. Although there are only two locations in California as of now, the company plans to expand with ten more locations in the next year, in cities like New York and Chicago. 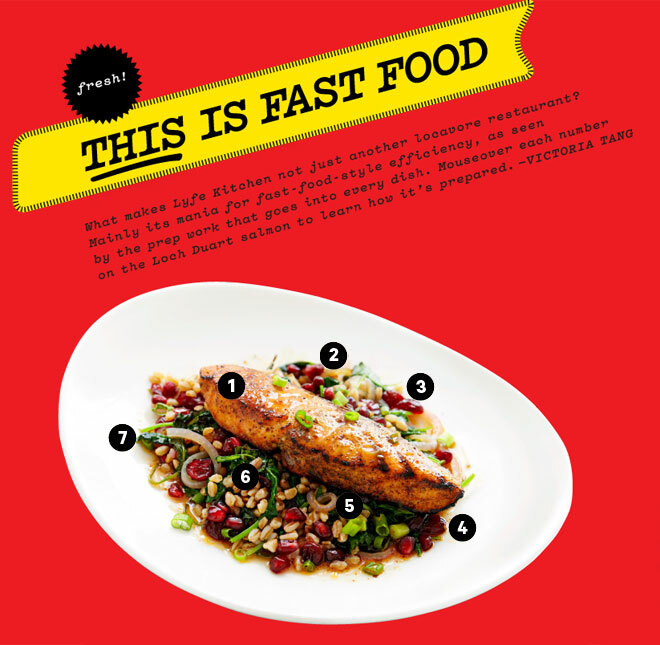 LYFE Kitchen has managed to become an exemplar model of an eco-friendly fast food restaurant. Hopefully, other restaurants of the same structure will strive to be as socially conscious as they are. For more information about the origins of LYFE Kitchen, read a recent interview with Roberts from Wired magazine. Chewing your food is more important that you think! Did you know that chewing is the first step in the process of digestion? When we chew our food, our bodies are better able to absorb the nutrients, and digest the food we eat, providing us with the energy we need to function well through out the day. Chewing your food thoroughly also leads to a healthier digestive system. When we chew, our bodies release enzymes in our saliva that help break down food, and convert it into energy. Chewing helps prevent our stomachs from doing all of the work of digesting the food we are eating. So the next time you are eating, try to focus on each and every bite. For more information on how to improve your digestive health, check out this link that discusses how digestion is the cornerstone of wellness and longevity.